When we have sessions of the Colorado Military Veterans’ Community Dialogues, I tell people that there are veterans, and then there are combat veterans. The two are not the same. There are many kinds of soldiers, all doing important jobs, but few do the fighting. That’s the nature of the modern military, which is a vast bureaucracy with many jobs for people “in the rear with the gear,” as the saying goes. I make an attempt to keep the combat veterans separate from the others when we actually get down to business and start the veteran-to-veteran conversations that are the heart of the Community Dialogues. This is the right thing to do, not because the combat veterans are superior, but simply because when the honesty reaches the level necessary for purging pain, the stories take on that bloody tinge that marks “battlefield gothic.” You may want to look up that term. It explains why we are careful about the combat veterans. When they start to really tell it the way it was you can’t have the belated desire of men who did not experience combat, expressed as destructive envy, to destroy the process. This is strange because most men when they served did everything humanly possible to avoid the infantry, to avoid combat. But listen to them now. Many men desperately wish they had fought the enemy and they can be insanely jealous of those few who actually did. The Community Dialogues are not just war stories. They are conversations, extremely valuable in creating community among isolated, often very lonely men. They are conversations not just among veterans but with spouses, families, friends, and the community. The way this works is that nobody is put off. There is no re-traumatization. The civilians can take it because they are listening to combat veterans talking to other combat veterans, which is what enables the honest telling. Then they join the conversation on an equal footing with their loved ones. The families and friends realize that this kind of conversation is absolutely necessary to bring soldiers (a combat veteran is an eternal soldier) back into the family, back into society. When I enlisted in the U.S. Army in 1967 I volunteered for the infantry. I didn’t tell anyone in Mercedes, Texas, that dusty little town on the banks of the Rio Grande. But he found out. I could never hide anything from him, my surrogate father. He was my uncle, Reynaldo Zuniga. His claim to glory was that he had landed on Omaha Beach on D+1 with I Company, 23rd Infantry Regiment, 2nd Infantry Division, the “Second to None” division, as they styled themselves. And he was beyond furious with me. How could I be such a fool? He roundly cursed me and then when I was already at the Army Induction Station in San Antonio he had his former CO, retired Colonel So-and-So, call me on the phone and try to talk me out of my chosen path. But too late. The die was cast and I had already crossed my Rubicon. He was right, of course. The infantry was hell. When I was lying face down in a South Vietnamese rice paddy with the AK-47 rounds whistling around my ears, I roundly cursed myself. I had been to the big Air Base at Plei Ku. The EM Club there had the best vodka and orange juice screwdrivers. Should have joined the Air Force. Then somehow I was able to visit the big Navy base at Cam Ranh Bay. There was an air-conditioned mess hall there that was open 24/7. They had the most delicious chow, including ice cream. Should have joined the Navy. But in a flash, as I wallowed in that paddy fertilized with human waste, I knew how impossible it was. Better to be more modest. I wished I was that starched, spit-shined, fresh smelling, clean-shaven young chaplain’s assistant who came out with Fr. Waldron, the Catholic chaplain. That kid had a perpetual smirk on his face as he contemplated us — we, the infantry. The lowest form of life. But it didn’t matter. I still wanted to be a chaplain’s assistant. It was only fair that I should continue my religious career, even in the Army. I was the former altar boy, after all. So, you see, I do not glory in my status as a combat veteran. It would have been better for me to have done my tour in Vietnam inside some nice base camp. But I didn’t, and maybe for the better. Now I understand the hard realities of life after war. I spend my life saying “welcome home” to Vietnam War veterans and veterans of the present forever wars, and trying to actually bring them home. When I succeed in helping one of these men I come one step closer to coming home myself. 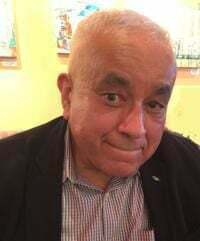 Joe Barrera, Ph.D., is the former director of the Ethnic Studies Program at UCCS and a combat veteran of the Vietnam War.